I purchase this product regularly cause it keeps my home smelling fresh. We have two dogs and a chameleon so sometimes keeping it smelling great isn’t as easy as you think. When we are away my dogs love to sleep on the couch so we use our febreeze with gain to refresh all fabrics from couches to curtains to our bedroom really everything! Any time we have friends or family come to visit they say wow it smells great you would never know you Have pets. 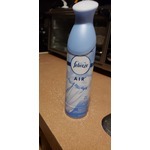 I continue to purchase this product cause I love the long lasting freshness and I also use gain laundry detergent and fabric softener so we are always being complimented on our clothes smelling good! 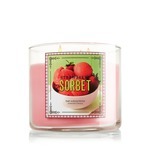 This product gives off a great pleasant smell that cover up odors. It is indeed a great product. I have three very active boys and when they come in from the outside it always work it’s magic! Perfect amount of aroma left in the room after using the product. Perfect for freshining up a space between cleanings. Perfect product for the price! Definetly would recommend. 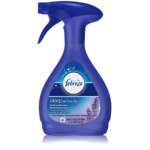 I absolutely LOVE Febreze Air Freshener With Gain. I got tired of constantly spraying normal air fresheners because the scent would never last more than an hour. 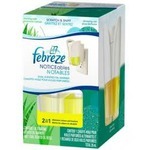 I have always liked the Febreze candles and how long the scent lasted. So, I figured I would add a buck or so and try Febreze with Gain. I am 100% satisfied. The smell is GREAT and I can't believe how long the smell lasts. I LOVE the smell of Gain so when I found about these I was so happy! It smells so good and lingers forever. It really smells up your whole house... but in a good way lol. I use it in the bathroom and also in the basement the most, but I use it anywhere and everywhere honestly. I am not a fan of this product at all. I was very disappointed when I purchased this product. I normally buy febreeze, and I normally buy gain laundry detergent - however the two products are not meant to be together! The smell is nauseating! Thank goodness it doesn't last. This is fabulous for us, as we own dogs, who do tend to sleep on the couches all day - one couch in the basement being solely used by one of our hounds. Weekly, we spray the couches, and they smell fresh and it removes the dog odors! The scent isn't overly powerful unless you stick your nose right up to it. We feel it's a great product for our household.